With Readly you can read All About History Book of British Royals and thousands of other magazines on your tablet and smartphone. Get access to all with just one subscription. New releases and back issues – all included. 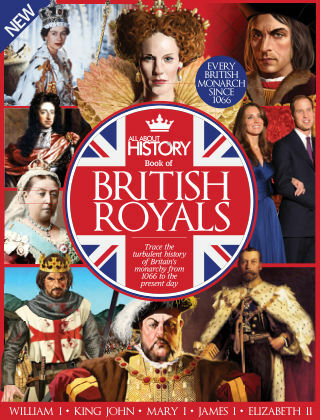 In this new edition, you’ll discover incredible facts about every king and queen of Britain from 1066 to the present day, and uncover the truth behind royal scandals, conflicts and triumphs. From the bloody battles of Hastings, Bosworth and Agincourt, to the treacherous political courts of the Tudors and Stuarts, trace the turbulent history of Britain’s royal bloodline from its beginnings right up to the present day, with the current monarch. This book is the perfect way to celebrate the 90th birthday of Queen Elizabeth II.